This Monday marks five years since a catastrophic, magnitude 7.0 earthquake hit Haiti, claiming at least 230,000 lives. It was January 12, 2010, just before 5 p.m., when the world came crashing down for millions of Haitians. Bodies lined the streets, and entire communities were reduced to piles of rubble. Three months later, things looked hopeful for Pierre and for Haiti. He was eager to return to school and had plans to move in with his grandmother, the only family he had left. He was looking forward to rebuilding his life. 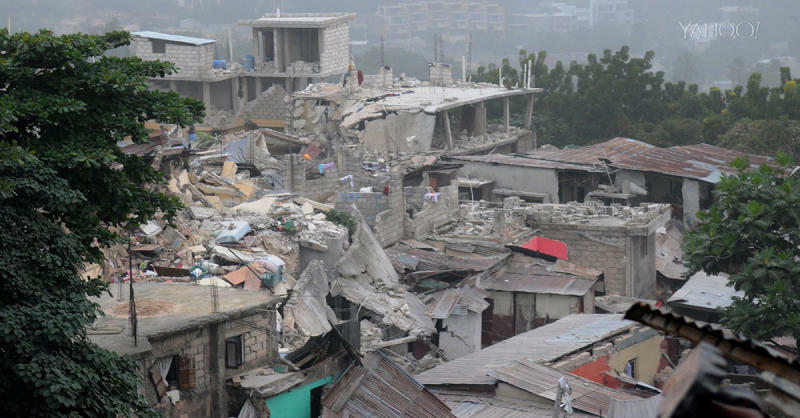 Recovery teams mobilized and more than 9 billion dollars in aid were pledged to help Haiti following the earthquake. Modern hospitals were being built, and plans for new housing were in the works. But a lack of infrastructure delayed the distribution of funds, and progress was slow. Thousands of homes promised by aid organizations were never built, and 85,000 Haitians still languished in tent cities. Now, five years after the quake, Pierre, who had so much hope for a brighter future, refers to himself as a “street kid.” After his grandmother died, he was forced to beg for food to survive. He was doing just that when he met Julienne, a young mother of two children, who gave him a roof over his head and something to eat. In a small village 40 minutes outside of Port-au-Prince, Julienne’s home is four walls and a concrete floor. Pierre’s bed: a sheet on the floor that the boy shares with her two children.